Can my organ function be restored? Will my immune system ever bounce back? How can I regain my strength? Over time, chronic disease and lack of self-care take a toll on the body. Deprived of essential nutrients or overburdened by a buildup of toxins, our organs may limp along for years, struggling to perform their necessary functions. Eventually they wind up depleted, no longer able to draw upon their reserves. This creates “weak points” within our system that leave us vulnerable to further disease. But if our organs can be weakened, they can also be strengthened again. Natural medicine has the tools to “tonify” weakened systems. We’re able to recognize subclinical issues that could leave the door open for disease and treat them before patients become sick enough to require more intense therapies. When organs or systems are subjected to long-term stress, they can become weakened from having to work hard for a long period of time. This undermines the body’s overall ability to resist disease. For example, chronic sugar or alcohol abuse can disable the liver’s normal functioning, transforming healthy cells into fatty cells. This reduces its ability to flush toxins from the body—which, in turn, allows toxins to build up within other organ systems, causing a cascading reaction that can leave the organism vulnerable to all sorts of diseases. Some people have a genetic propensity to certain systemic weaknesses, such as an immune system or cardiovascular system that doesn’t function optimally and can make us more prone to chronic problems. Through dietary changes and nutritional supplements, naturopaths can help patients funnel essential nutrients systems that have been weakened by the disease process. Many foods can be used to specifically target a specific organ network. For example, curcumin and turmeric help detoxify the liver, while herbs such as milk thistle help restore function of the liver cells, known as hepatocytes. Beets are a great example of a super food that can tonify multiple systems at once. They help support cardiovascular strength—improving the body’s ability to use oxygen during exercise—while helping to boost liver function, cellular function and overall detoxification. They’re particularly helpful for conditions involving liver disease or fatty liver. Sometimes what weakened systems need is a jolt of energy to kick-start the healing process. Naturopaths employ many different treatments that help deliver energy to flagging organs. Hydrotherapy, for example, relieves digestive stress and helps detoxify the body by pumping more blood through the liver, kidneys, stomach and intestines. Acupuncture helps clear blocked energy pathways that are depriving organs of a vital source of strength. Massage therapy releases stagnant blood, lymph and energy trapped in the body’s tissues and helps increase circulation to starved systems. Exercise feeds the entire body with energy while aiding in the flushing of toxins. 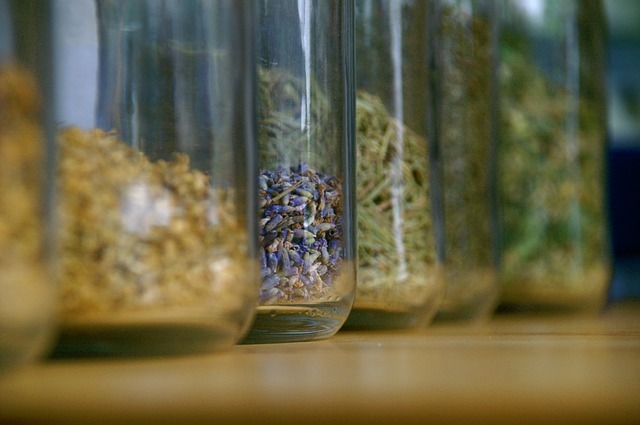 There are “many hundreds of botanicals which can be combined in many ways to effect specific changes in any system of the body,” says naturopathic doctor Jared L. Zeff. Whether it’s your stomach, liver, heart, lungs, kidneys, nervous system, reproductive system or adrenals, natural medicine offers a tonic that can help support it. If you’ve been weakened from chronic disease or parts of your body are showing signs of decreased function, there’s no need to wait. You can take immediate action to give flagging systems the support they need. Set up an appointment with our Portland naturopathic clinic today. In the meantime, you can start tonifying at home with this recipe for Golden Milk. It offers anti-inflammatory and antioxidant qualities, but also a holistic, and easy way for people to nourish their bodies.